A close up of the sun dog. I darkened the image a bit to let the rainbow colors come out of the background. 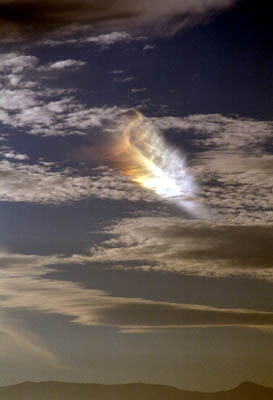 Thanks to Joan Barnett and Ian Scott-Parker for identifying this as a sun dog.